"Although I love listening to it, I try to avoid playing such music as it makes me feel completely naked emotionally. But, if you decide to perform it, be good enough to undress." 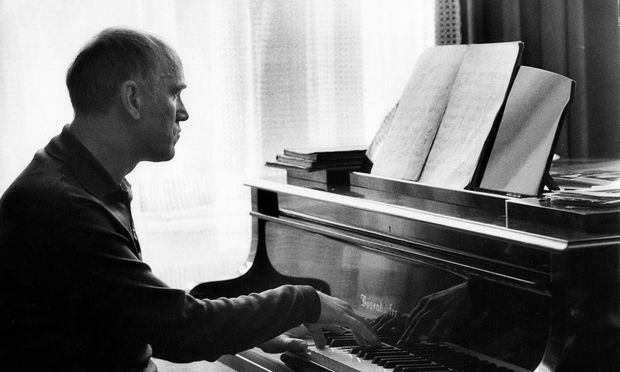 Russian pianist Sviatoslav Richter (1915-97) was one of the great musicians of the 20th-century. A consummate technician, he was known for his penetrating and soul-shaking interpretations. When someone was needed to play at Pasternak's funeral in 1960, Richter was the inevitable choice. The photograph shows him in 1971.